Lunguma Primary School is located in Lobule which is a large refugee camp on the western side of Uganda. It is near the border of South Sudan and the Congo. 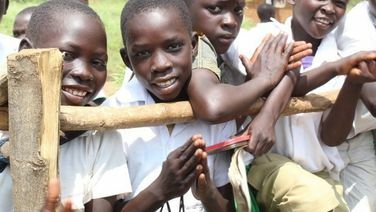 The school population consists of 288 girls and 306 boys who are all local Ugandan children. All of these students are in urgent need of clean water. 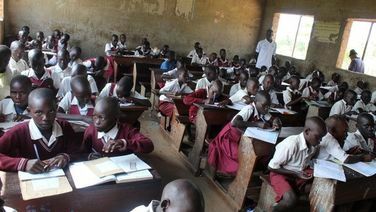 Padrombu Primary School is located in Lobule sub-County, Koboko District. The school has a population of 1550 students. This area has a high population of refugees, both South Sudanese and Congolese. Amuria Primary School is located in an area approximately 10 kilometers from town in the Amuria district in the northeastern part of Uganda. The school has an enrollment of 200 students and teachers with a total area population of 3,460,000 people. Many of these people are displaced from land conflicts in the region and many families live in temporary housing situations or send their children to live at school or by themselves near the school because they have no permanent home. The Asili Girls Vocational Secondary School, is a catholic founded all-girls school in Lira, northern Uganda. This school is brand new and is still under construction. The school has two sections, a primary school with 580 pupils and a secondary boarding school which currently has 250 girls who also live there in dorms. 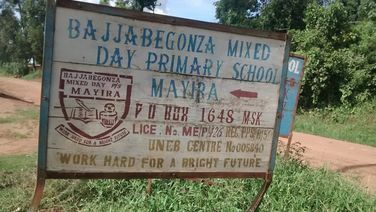 Bajjabegonza Mixed Day and Boarding Primary School Miyira is located in Masaka district in the Central region of Uganda. The students have to travel 1.5 km to the nearest shallow well with a pump to meet the school's water needs. 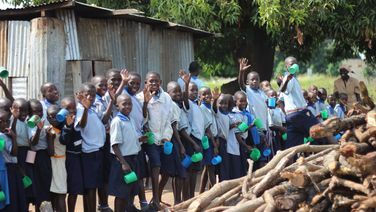 In addition to the students, approximately 1500 people use the same water source for their daily water needs as well as sharing with neighboring schools. Birijaku Primary School is located in Koboko, a very needy part of West Nile. The school has just over 1,500 students and no water! This community is made up of locals and refugees from South Sudan and the Democratic Republic of the Congo. 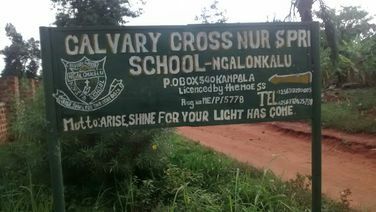 Calvary Cross Junior School is located in Luwero district in the Central region of Uganda. The students have to travel 1 km to the nearest bore hole well to meet the school's water. In addition to the students, approximately 1,000 people use the same water source for their daily water needs as well as sharing with neighboring schools, causing students to have to wait up to an hour for their turn to get water. 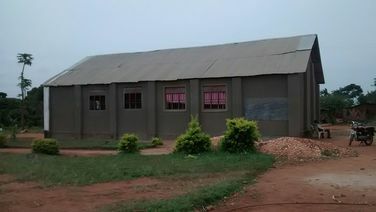 Elohim Primary and Secondary School is located in the Luwero district in the Central Region of Uganda. There is a borehole next to the school which is functional but the community also fetches water from it causing long lines for the students to wait in. The alternative water source nearby isn't safe for drinking. It is used by animals daily and is a dangerous place for young girls to fetch from due to instances of crime and harassment. Having an additional water source at the school will be safer for the students and community and will greatly reduce the need for the students to fetch additional water outside the school. 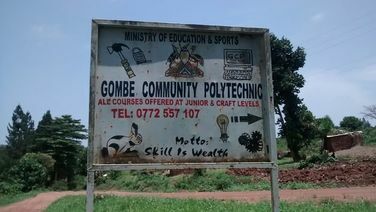 Located in Uganda’s Central region in Wakiso district, Gombe Community Polytechnic School is home to a borehole well that currently provides drinking water to 500 people.